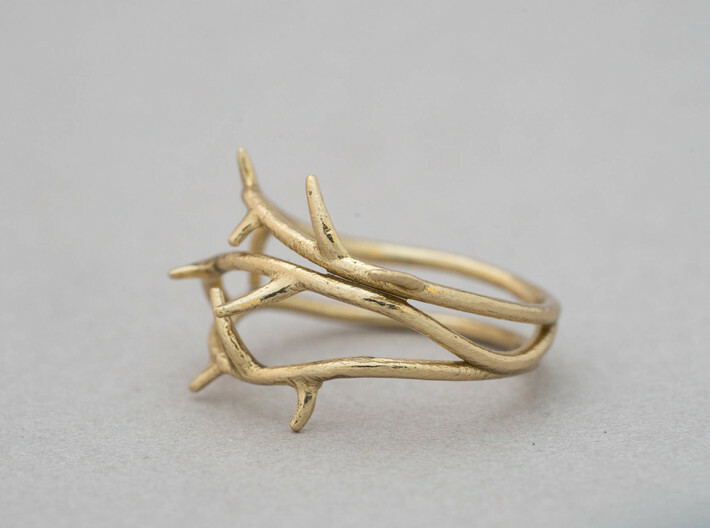 Delicate vines wrap around the finger, crowned by tiny thorns. 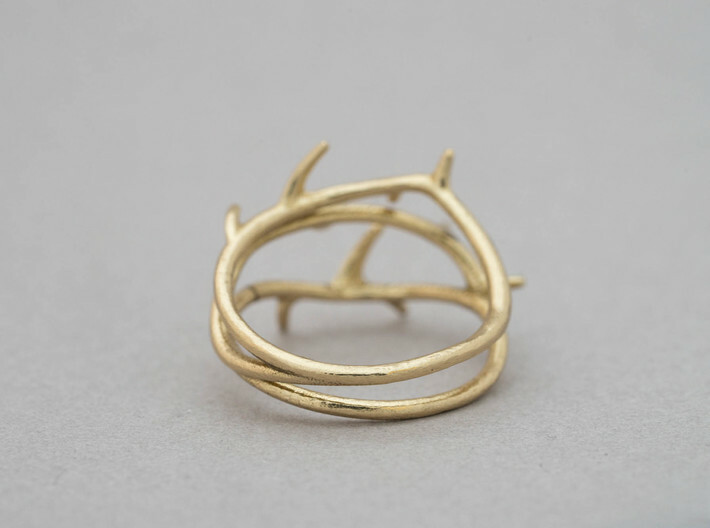 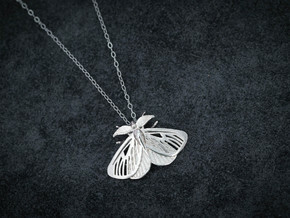 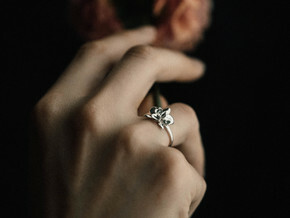 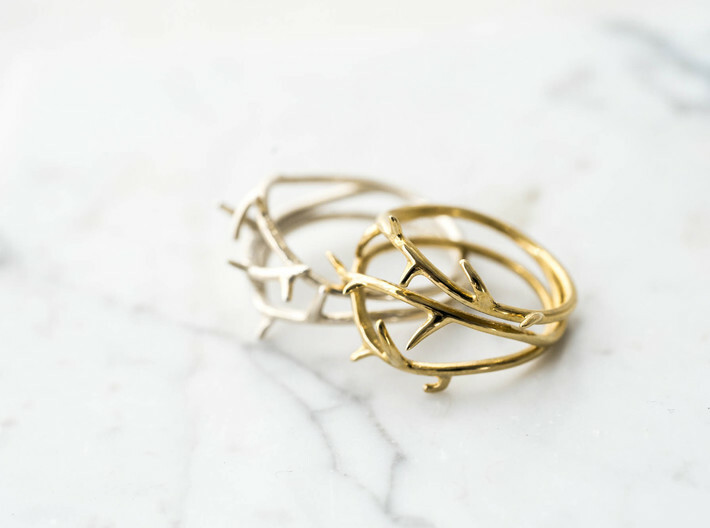 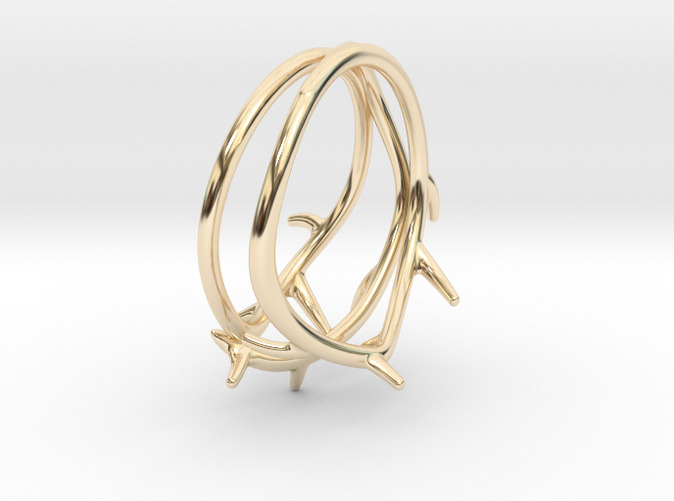 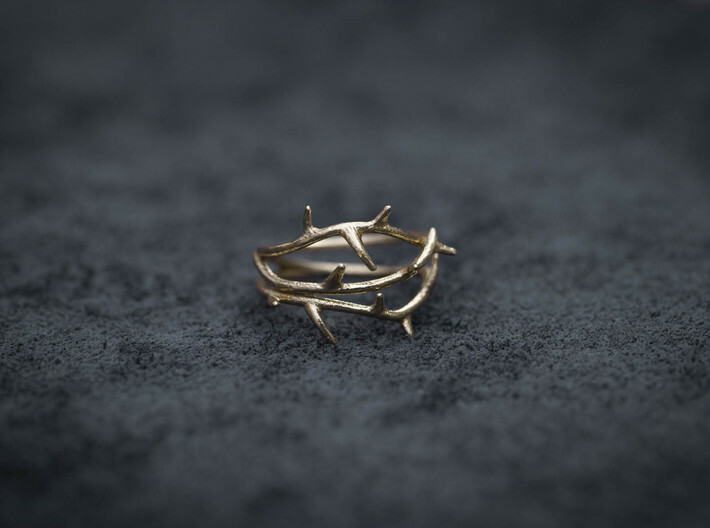 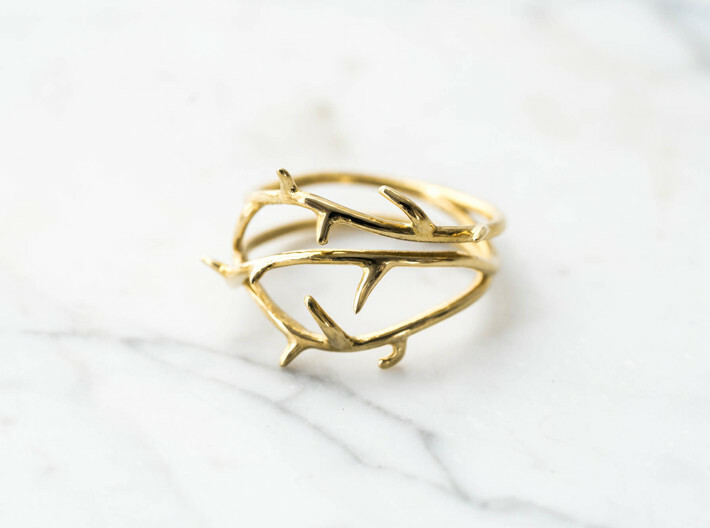 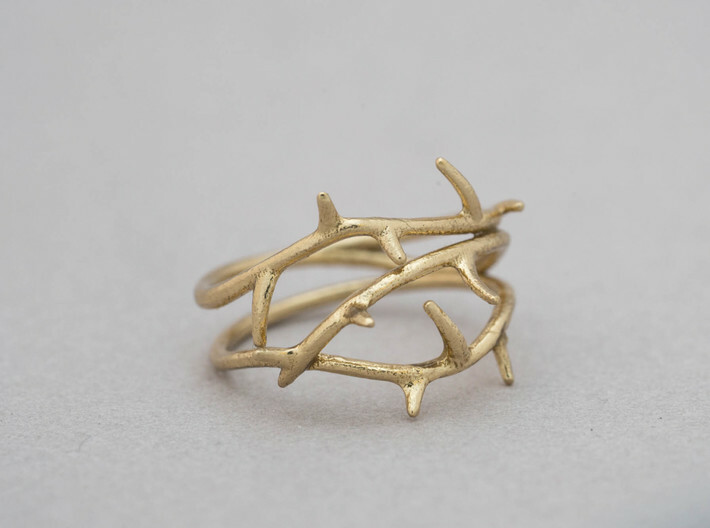 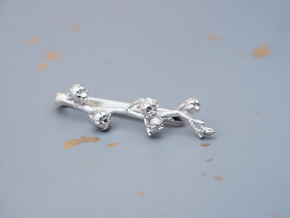 Thorns are placed on the top of the ring only to ensure a comfortable wear. 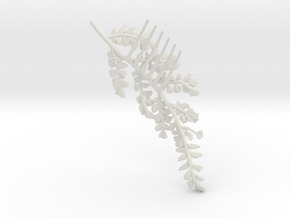 Please be aware that these thorns are functional- so take care around easily snagged fabrics and materials. 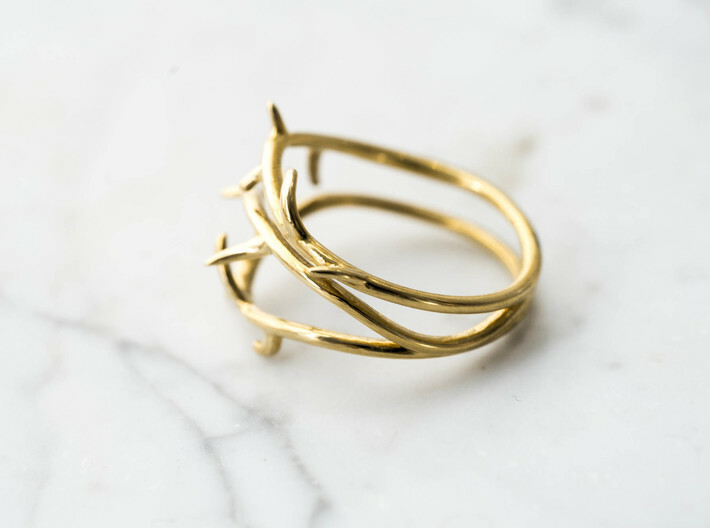 This ring is available in sizes 5, 6, 7, and 8 from the dropdown menu- but if you're looking for a different size, just contact us!